New Zealand rammed HMS Australia shortly before Jutland causing the latter to miss the battle and engendering a high degree of hostiity between the crews from that point. Four shaft Parsons direct drive steam turbines. 31 Babcock and Wilcox boilers giving a 44,000 shp rating. In March 1915 3" QF 20 cwt added to the QF 6 pdr Hotchkiss AA gun already mounted at the start of the war. 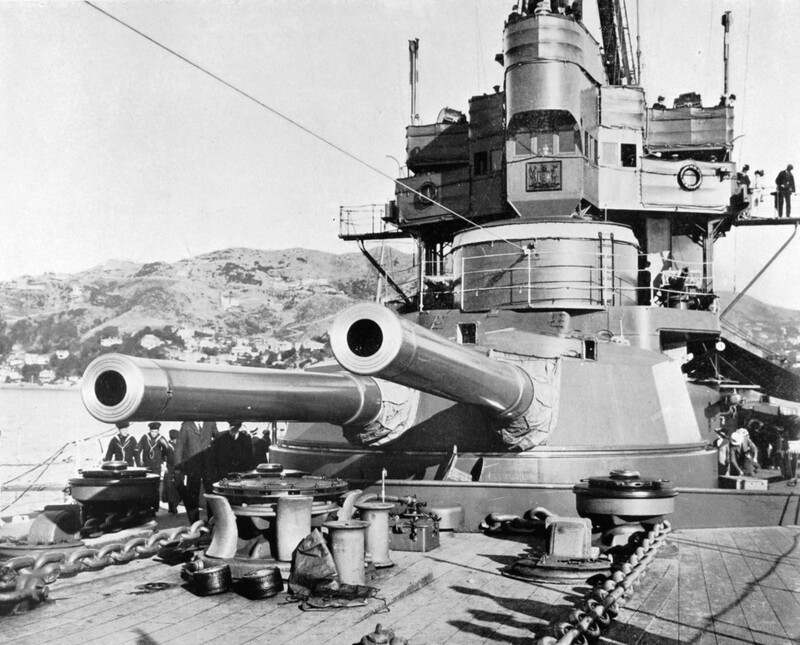 A turret was fitted with a 9 foot Barr and Stroud (270 cm) rangefinder. It was situated at the back of the turret roof.